The way we store and share information has changed fundamentally over the centuries. Phillip Long, Executive Director of Innovation and Analytics at the University of Queensland, explains how we came to reach the post-digital age. Adaptive learning caters to the individual and aims to meet them exactly where they are at any point in time. Mohamad Jebara from Mathspace explains how technology can help to take adaptive learning to the next level. The development of digital content for higher education is changing rapidly. Leon Sterling, Pro Vice Chancellor at Swinburne University of Technology in Melbourne, explores developments over the last forty years and speculates on the future. Global Mindset is hosting a conference as part of their Integrating Australia with Asia series on Wednesday, 13 August 2014 in Sydney. The event will revolve around innovations in learning. Most of the research into well-being concentrates on if and how it can be increased. Justin Cole is part of a team studying the effectiveness of self-help exercises as methods for improving well-being. What have Big Data, the Internet of Things and Civil Rights have to do with each other? Where is the connection between the collection of digital data and the civil rights movement? Malcolm Crompton explains and urges us to consider the implications. Every social network channel has its specific use. Darren Moffatt says that emerging online technology will connect neighbours, improve community relations and revitalise urban living. With new technologies emerging, the barriers to space are continuously being reduced. Jason Held from Saber Astronautics explains how even smaller companies are now able to enter the space sector. Is Australia ready to thwart the cyber attacks? There is cause for concern that Australia's change of government has slowed down initiatives to protect businesses and institutions defend against online attacks. 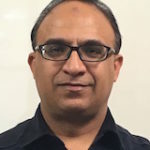 Dr Tanveer Zia, a cyber security researcher at Charles Sturt University, calls for the development of an Australian framework. Social learning relies on a natural inclination to watch people’s faces and eyes. Dr Giacomo Vivanti explains how the technology of eye tracking can afford a new window into the mental world of individuals with autism. Sophisticated synthetic drugs are flooding the Australian market, and for every drug banned there are five others lurking in the wings. Emergency consultant and illicit drug expert Dr. David Caldicott says a temporary ban on these products is just a starting point to buy us some time.